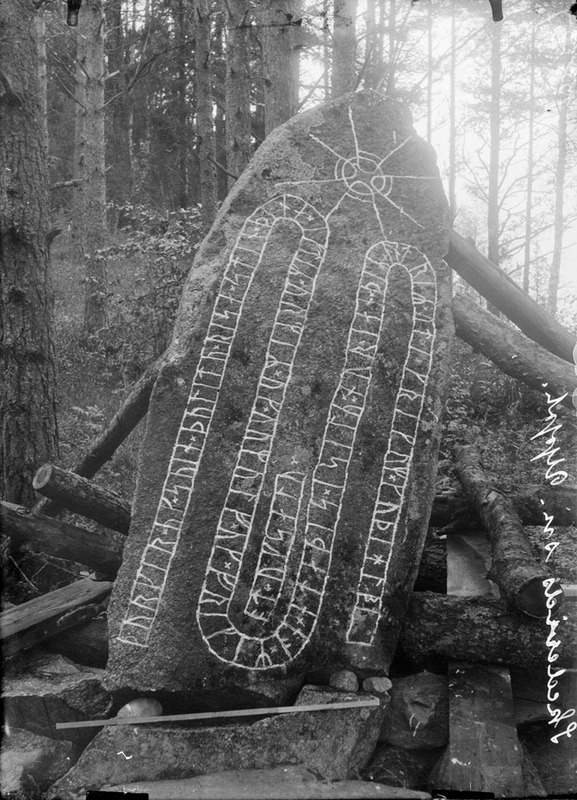 Rune stone (U 518) in Västra Ledinge. The inscription says: “Torgärd and Sven, they had this stone raised in memory of Ormer and Ormulv and Fröger. He met his end in the sound of Sila (Selaön island), and the others abroad in Greece. May God help their spirits and souls”.